In Chapter 2, we encounter two shadows of the past. Gandalf tells Frodo that Sauron "has arisen again" to menace Middle-earth. And Tolkien reveals to us that he is haunted by the shade of Richard Wagner (1813-1883), composer of the opera Der Ring des Nibelungen (better known in English as "The Ring Cycle"). and whoever has it not shall be gnawed with envy! but none in it shall find pleasure! for through it he shall meet his executioner! to the ring a slave! This death-curse is so central to the plot that it even has its own recurring musical theme. For the rest of the Ring Cycle, we see how this curse ensnares all the characters in a tragic cycle of hubris and betrayal. It is inexorable. The giant Fafner clubs his brother to death so he can claim the ring. In turn, Seigfried kills Fafner and seizes it. Finally, Seigfried is treacherously stabbed in the back by the villain Hagen, who himself drowns (in a Gollum-like scene) when trying to grasp the ring as it is reclaimed by the flooding river Rhine. 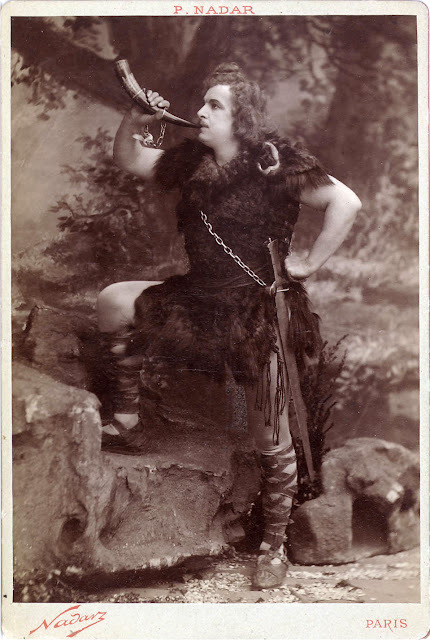 There are, of course, many other parallels between the Ring Cycle and The Lord of the Rings, including a sword that was broken, and a heroine that relinquishes the world of the gods for the love or a mortal man. But the central similarity is key: ultimate power (in the form of a ring) warps the hearts of all who would possess it, leading to an evil cycle where each owner is killed by his successor. "A mortal, Frodo, who keeps one of the Great Rings, does not die, but he does not grow or obtain more life, he merely continues, until at last every minute is a weariness. And if he often uses the Ring to make himself invisible, he fades... Yes, sooner or later - later if he is strong or well-meaning to begin with, but neither strength nor good purpose will last - sooner or later the dark power will devour him." Just as Albrich sang, "for the length of his life, he shall long to die." Although Gandalf doesn't say that one of the Ring's owners will always be killed by the next, his brief history of Isildur and Gollum make it clear that possession of the Ring is a kind of death sentence. Now I wrote up above that the similarities between the Ring Cycle and The Lord of the Rings are so obvious that they don't need much elaboration. Just so. What interests me most is not the parallels between these works but the areas where Tolkien parts company from Wagner -- for it is the dissimilarities that are most revealing. "It was Pity that stayed his hand. Pity, and Mercy: not to strike without need. And he has been well rewarded, Frodo. Be sure that he took so little hurt from the evil, and escaped in the end, because he began his ownership of the Ring so. With Pity." "Very well," said Bilbo, "it goes to Frodo with all the rest." He drew a deep breath. "And now I really must be starting, or somebody else will catch me. I have said good-bye, and I couldn't bear to do it all over again." He picked up his bag and moved to the door. "You have still got the ring in your pocket," said the wizard. "Well, so I have!" cried Bilbo. After a long fight, Bilbo is finally able to let it go. It is this triumph that sets the rest of the plot in motion. But how did he do it? Tolkien doesn't quite tell us. His writing, as I say, is too understated to provide obvious answers. What we do know, however, is that Tolkien is infinitely more optimistic than Wagner. 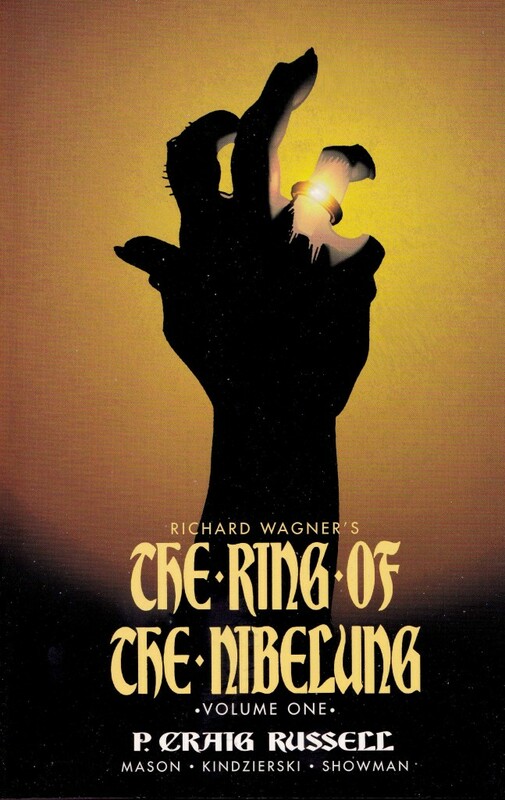 For Wagner, the tragedy of the ring is inescapable . But from the very beginning of his trilogy, Tolkien signals that there is something that can resist the death-curse of power. Something subtle and easy to miss. For the rest of The Lord of the Rings, we will discover more about what that something is. To read on, here is my commentary on Chapter 3. Or You can find my commentary on Chapter 1 here. Very well written acticle! The similarity also astonished me when I got to read the stories of wagner for the first time. Thanks very much! I was astounded too (hence the article). Apparently JRRT himself disliked/downplayed the resemblance. But who wants to be associated with a proto-Nazi like Wagner? Very persuasive. I'd like to hear more on why you think Tolkien chose to underplay this pivotal moment. 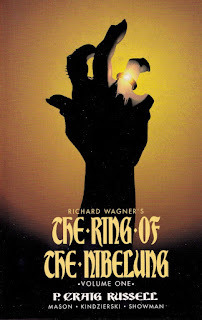 The temptation as an author must have been to use the scene to make a heavier point about the power of the ring (as in the film), as well as to underscore the moment of divergence from Wagner's death-curse. Is it as simple as hiding the secret of undoing the ring in plain sight? I've been thinking about your question - which I think is a really good one. And I'm not sure there's just one answer to it. My own view is that Tolkien is a much more sophisticated and subtle author than he gets credit for... He often downplays vital moments, or even misdirects his readers (the prime example that I can think of is The Hobbit, where the narrator frequently refers to Bilbo's extraordinarily good luck at various crucial moments in the plot. But it's clear in the whole context of the book that it's not luck at all, but some sort of providence. But the narrator never reveals that). Anyway, I think Tolkien knew that good psychological writing requires a light touch, and the influence of the Ring is nothing if not psychological. Thanks for continuing this thread, I'm really enjoying it. I'm not going to pretend to be knowledgeable about Wagner's Ring cycle (most of my exposure comes from Apocalypse Now! ), so I found the similarities very interesting. Now I'll need to better familiarize myself with those works. Tolkien's tendency to "underplay" and "understate" events is my primary annoyance with Fellowship. It's almost like everything is written in the passive tense. But reading your blog has provided me with another view that I'm beginning to appreciate. I'm so happy to hear that you're enjoying the thread! The only performance of the Ring Cycle that I've ever seen was a small theatre company in Brooklyn's performance, where all the characters were portrayed as WWE style professional wrestlers. Wotan looked exactly like Randy "the Macho Man" Savage, for example. All the actors had to wear foam muscle suits. That sounds awesome and would beat the very traditional (and very dull) staging of Tannhauser I saw some years ago. 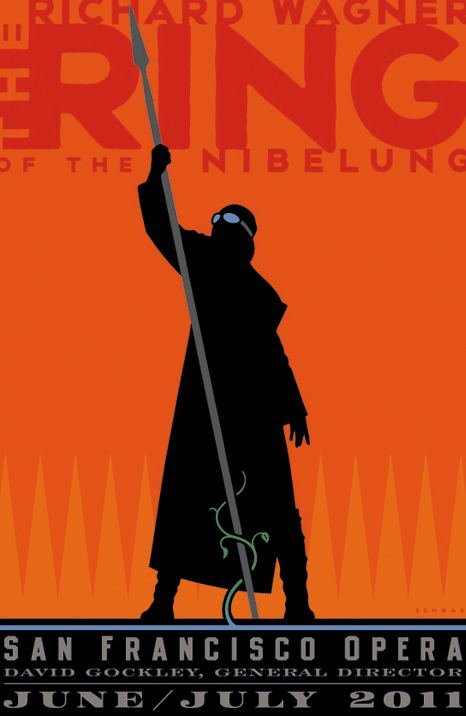 Not that familiar with the story of the Nibelungen, other than a cartoon version we watched as GCSE German students. I was struck by the central role a magical ring takes in both stories - thanks for another thought provoking post! On another note, I wondered whether the first pic in your post was of some chap dressed up as Boromir - until I saw the caption. Mind you it sounds like Boromir and Siegfried might have more in common than one would think! Another interesting point of comparison is the fact that both Lord of the Rings and The Ring Cycle share common influences from the Volsunga saga and the Nibelungenlied which also helps to account for the similarities.